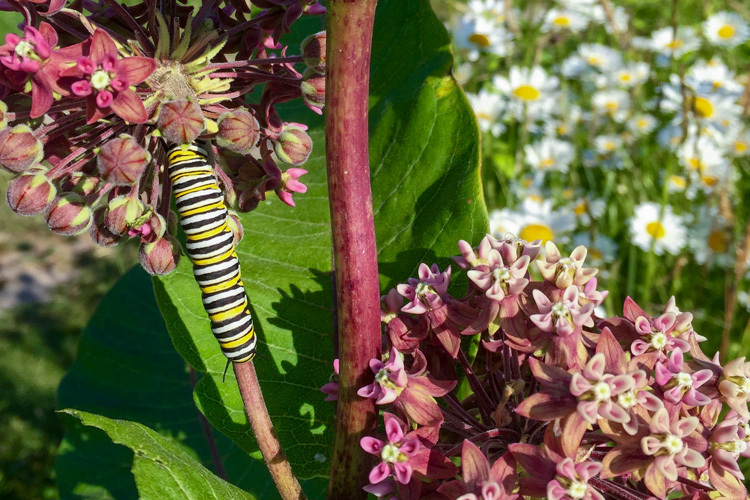 Posted on September 17, 2018 by Ryan D.
As summer draws to a close and the days get shorter, the season’s last generation of Monarch caterpillars are busily munching away at their favorite food: milkweed. 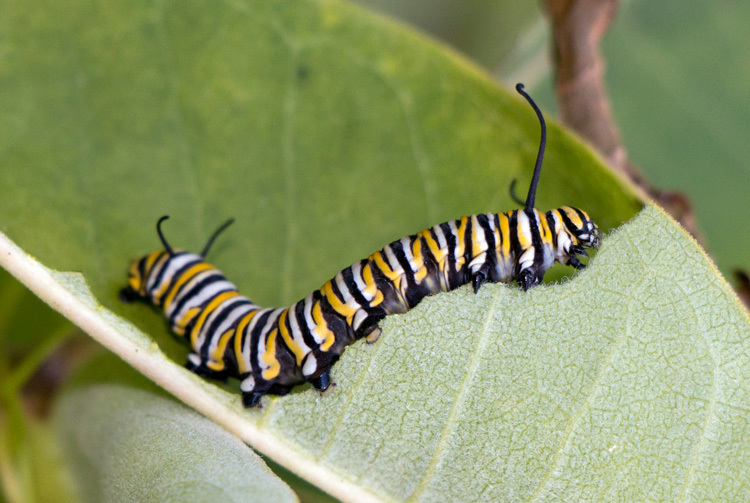 This final calorie-binge will sustain them as they “pupate,” ensconcing themselves in a chrysalis to spend 8–14 days metamorphosing into their adult butterfly form. The adult butterflies that hatch this month will fly south to Mexico for the winter where the weather is nice and warm. 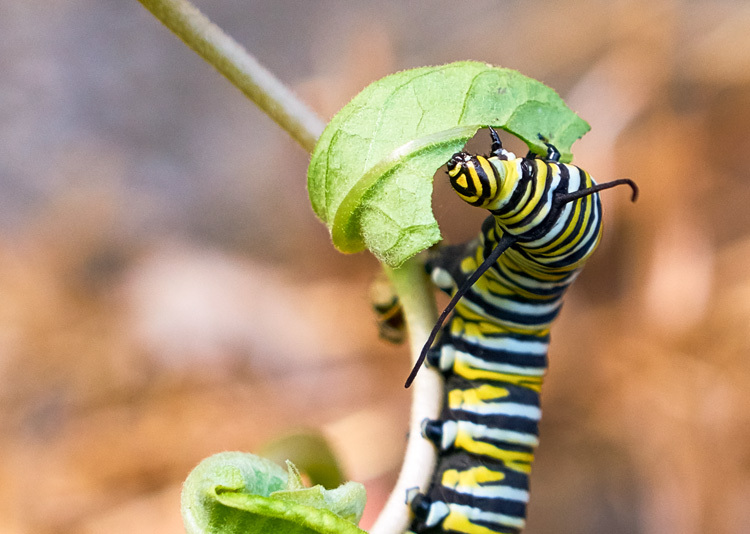 Monarch butterflies are a beautiful and easily recognizable member of our ecological community here in Massachusetts, but since the larval caterpillars are working so hard, we thought it would be nice to celebrate them with five photos from our annual Picture This: Your Great Outdoors photo contest. You can look for chrysalides in various stages of metamorphosis on the undersides of milkweed leaves over the next few weeks, but be careful! It’s best to leave the pupa to its work without disturbing it. 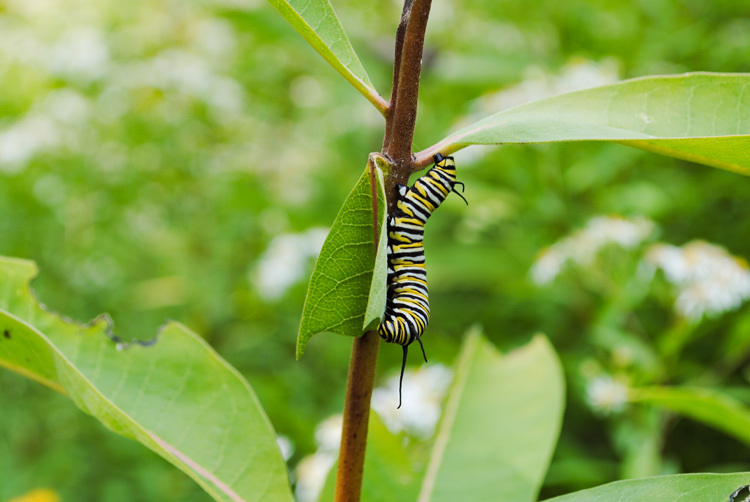 Allens Pond Wildlife Sanctuary in South Dartmouth and Westport leads Monarch Butterfly Tagging programs, so stop by if you’re in the area and want to learn more about these amazing insects. The 2018 photo contest is closing soon! Submit your nature and wildlife photography by September 30 to be considered for one of several prizes. 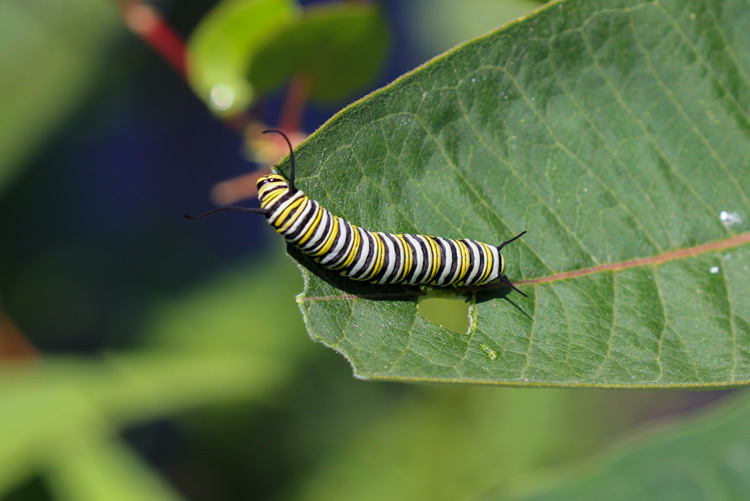 This entry was posted in Take 5 and tagged butterfly, caterpillars, monarch, photo contest, photography on September 17, 2018 by Ryan D..
Just found a monarch caterpillar in the garden last week in Dalton.. So excited.